Ottawa — A trio of national civil liberties groups is calling on a parliamentary committee to implement changes to the Preclearance Act, 2016, known as C-23, to ensure Canadians are not at risk of human rights violations. The International Civil Liberties Monitoring Group (ICLMG), the National Council of Canadian Muslims (NCCM), and the Canadian Muslim Lawyers Association (CMLA), submitted joint recommendations to the committee today. 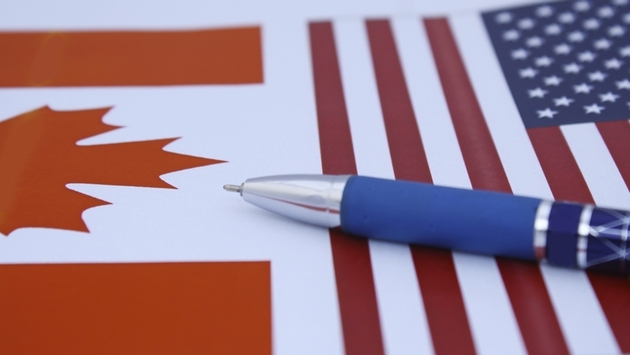 “We are concerned that the current act, as it stands, opens up huge risks for Canadians who travel between Canada and the United States,” says Tim McSorley, national coordinator at the ICLMG. “It is imperative that the federal government maintains full sovereignty over its borders, and that accountability measures are in place for any US preclearance officers (USPCOs) operating on Canadian soil. That is compromised when, for example, USPCOs are given authorization to conduct strip searches in Canada,” says Ihsaan Gardee, NCCM’s Executive Director. “Another concern is that Canadian preclearance areas will not be uniformly deemed Canadian soil, barring travelers from many benefits and entitlements under Canada’s immigration laws,” says Pantea Jafari, board member of the CMLA. The Preclearance Act, 2016 is currently being reviewed by the House of Commons Standing Committee on Public Safety and National Security (SECU). All three civil liberty organizations have submitted full briefs outlining deep reservations over multiple aspects of Bill C-23 and recommending substantial changes to the bill. “The fundamental flaw we see in Bill C-23 is a lack of accountability for US preclearance officers in Canada,” reads the latest briefing note. “This lack of accountability is alarming when coupled with the expansive investigative and search rights afforded to USPCOs under Bill C-23,” says McSorley. This entry was posted in News from ICLMG on 29 May 2017 by ICLMG CSILC.